Home » Blog » How large is Indonesia actually? For a long time, the name “Indonesia” was almost synonymous with “Bali”, but in reality, Indonesia is larger, way larger than just that one tiny island among 17,500. 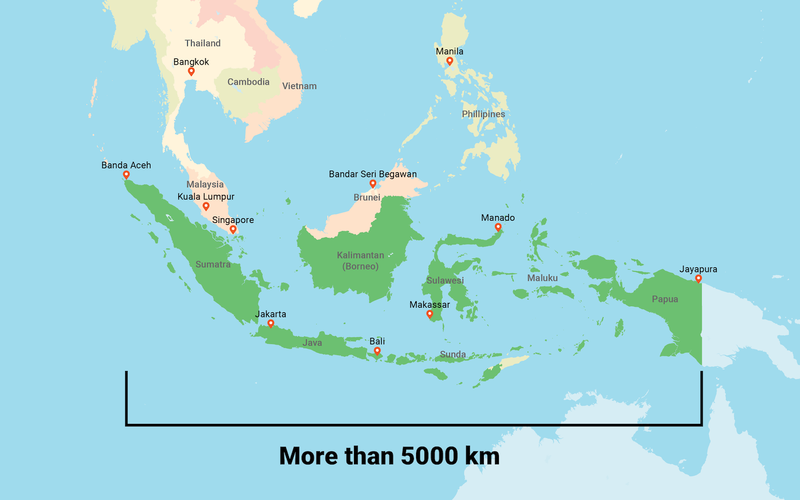 In terms of land mass, Indonesia covers a good 1,9 million square kilometers. This makes it the world’s 14th largest country, and the 7th in terms of combined sea and land areas. By the way: number 6 is Austraila, followed by Brazil, China, the USA, Canada and the largest country in the world is of course Mother Russia. Compare Indonesia’s size to the Netherlands with its paltry 41,543 square kilometers, and you’re comparing the size of a blue whale with that of a human baby. So it’s safe to say that Indonesia is yuuuge. The total width of Indonesia can be expressed as the distance between Banda Aceh (Sumatra) in the west, and Jayapura (Papua) in the east. In a straight line, this covers a distance of more than 5000 kilometers, and if you were to take a plane it would take you almost 7 hours to fly that distance. That’s one hour short of the same distance between Amsterdam and New York. 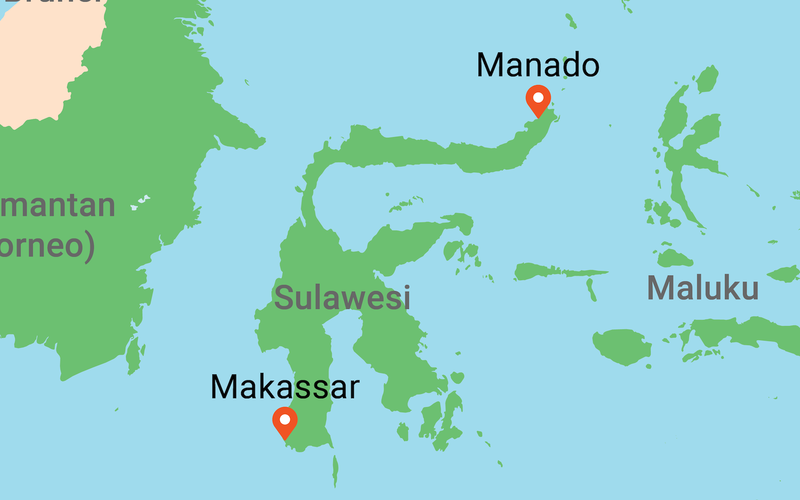 If we look at “our own” island of Sulawesi: it will take you 1 hour and 45 minutes to fly from Manado to the city of Makassar in South Sulawesi.